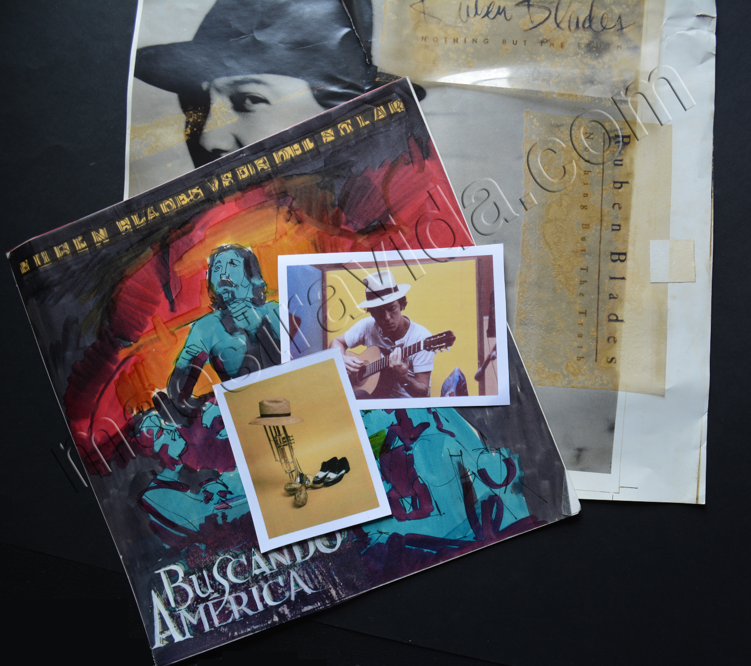 March 1, 2014 – The Rubén Blades Archives at Harvard has been collecting material from various sources since 2008, but for the first time sr. Blades has himself donated some of his material. 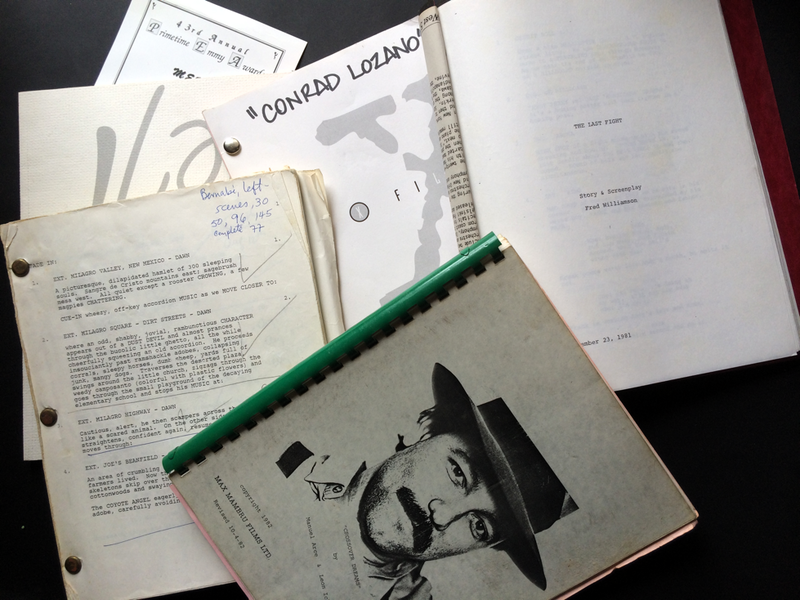 The first 11 boxes of papers, clippings, movie scripts, and other material are now being inventoried for Loeb Music Library. 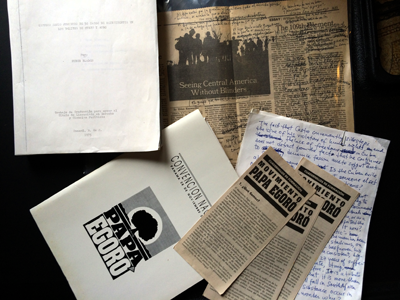 Of particular interest are papers and records regarding Blades' formation of a political party el Movimiento Papa Egoro and his run for the president of Panama in 1994. "When all the material is sorted out, any future questions regarding the workings of the Papa Egoro Movement and the scope of my involvement in its activities will be clear. No one really understands, what it was we did politically. The memos, positions, articles and commentaries made, not only by me but also by members of the group, will help create the proper documentation for understanding the motives and the impact of our efforts, as well as explaining our thinking and proposals in a much intimate fashion." Much of these papers and records involve his music career. 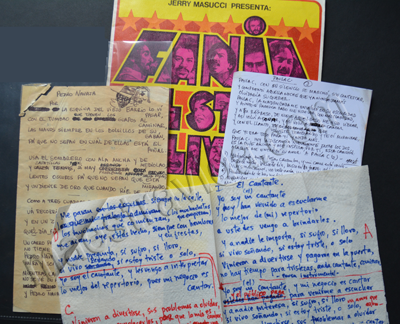 There are records of all kinds, including handwritten and annotated lyrics, notes and mockups for some albums, and tour and royalty payment records. "The other materials pertaining to my music can help to understand better my thinking process, both in composing, in writing lyrics and my opinions on the industry, the tours, the business and the business as a whole." 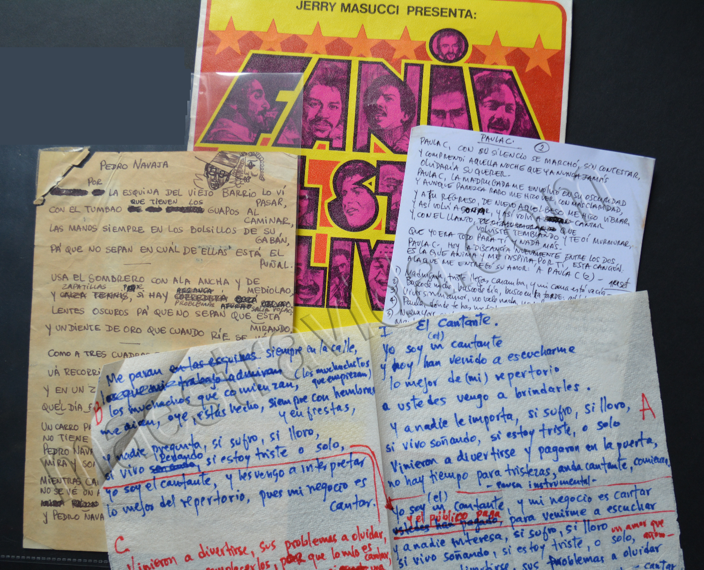 Donna Guerra, Curatorial Assistant in the Archive of World Music at Eda Kuhn Loeb Music Library, examines material from the Rubén Blades Archive. A musician, actor and political activist, Blades recently agreed to give his personal papers, recordings and other materials to Loeb Music. 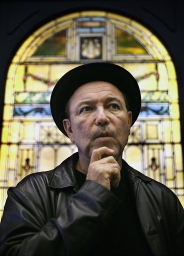 January 8, 2009 – He’s attained fame as an award-winning actor and musician, founded a political party and run for President of his native Panama and served as the Panamanian Minister of Tourism, but now Rubén Blades, LLM ’85, will add another credit to his resume – Harvard College Library benefactor. 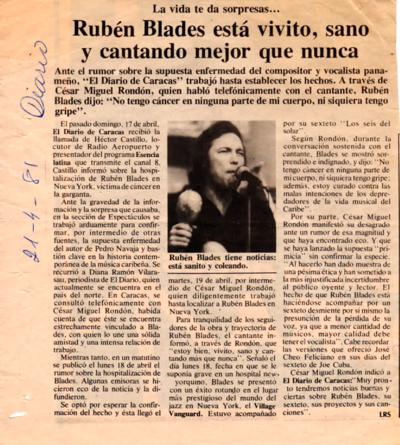 Blades, a graduate of the Harvard University Law School, earlier this month agreed to give his personal papers, including rare recordings of rehearsals and concerts, interviews and films, books and other material to the Eda Kuhn Loeb Music Library. 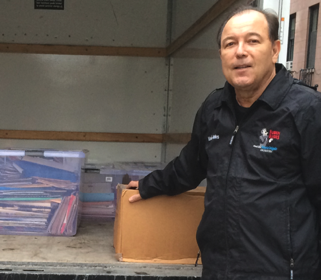 The arrival of the archive at Loeb Music Library, Danielson said, is largely the result of the work of two people, José Massó, host of the popular radio program ¡Con Salsa! at WBUR, and Alison Weinstock, a Blades fan, who created maestravida.com, an online discography and song reference guide dedicated to Blades’ career stretching from 1966 through 2008. 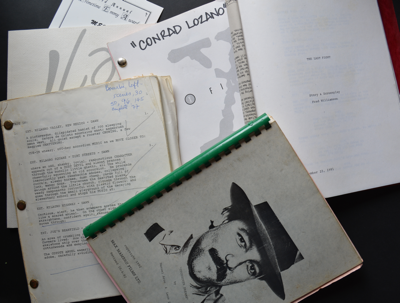 Among the items that will eventually be collected at Loeb: a complete collection of all LPs, CDs and liner notes for Blades’ recorded music, concert and rehearsal audio and video recordings, sheet music and arrangements, lyrics and translations, magazine and newspaper interviews and clippings, photos and mementos and more. 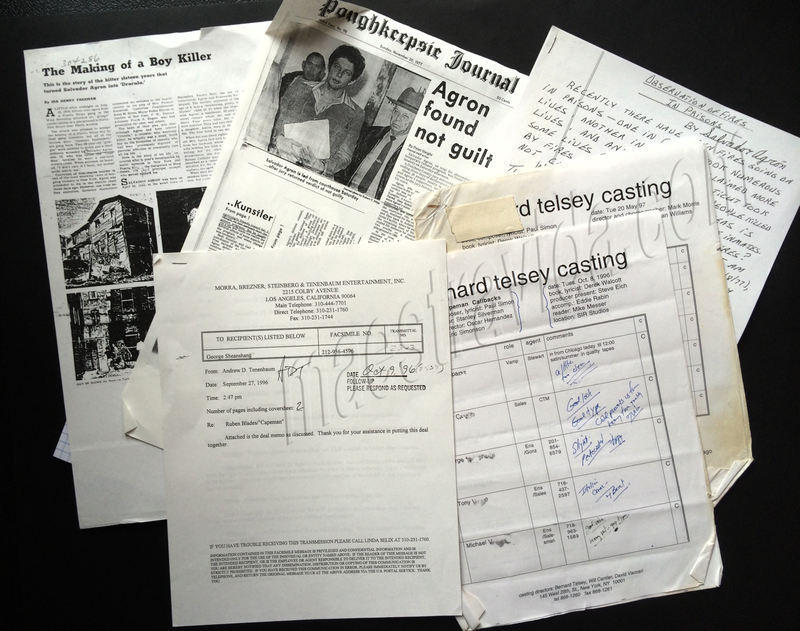 The archive will eventually grow to include material devoted to Blades’ political career, with posters from his presidential run, along with his collection of books on afro-Cuban and salsa music, and material devoted to the business aspects of his decades-long recording career. 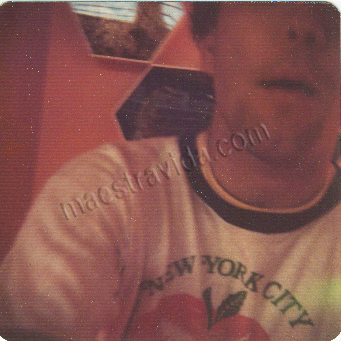 Though not an archivist or librarian, the first hands the material will pass through as it comes in will be Weinstock’s. As part of the gift, she was named by Blades as the coordinator of the Rubén Blades Archive at Harvard University, and will work with Danielson and other library staff to guide the collection to Harvard. Though some of the material has already begun to come in, Danielson emphasized that it could be months until the first items are available to library users. And considering Blades’ wide-ranging impact on both popular culture and social issues, Danielson said she expects the archive to become the focus of a great deal of scholarship. 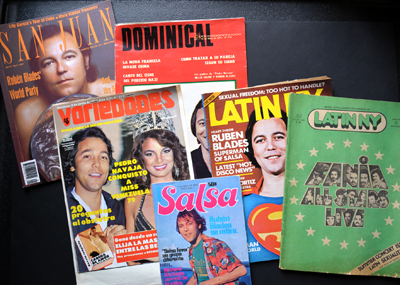 The collection is also a sign of the College Library’s growing interest in popular culture, particularly popular culture in the Spanish-speaking America. Considering Blades’ popularity in the U.S. as well as Panama and Central America, the archive also raises questions for scholars related to issues like transnationalism and diaspora, Danielson said. 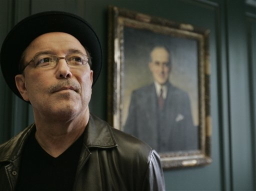 BOSTON - Salsa superstar and actor Ruben Blades has agreed to give his personal papers as well as rare recordings of rehearsals and concerts to Harvard University. 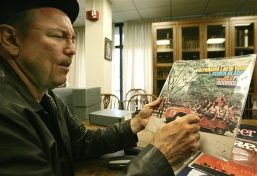 The university's Eda Kuhn Loeb Music Library will receive a complete collection of all the 60-year-old musician's LPs, CDs and liner notes. 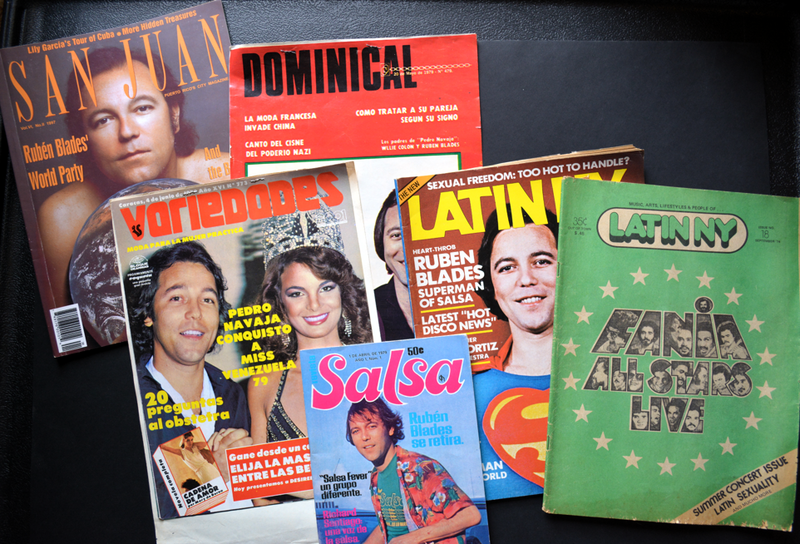 The archive will eventually grow to include material devoted to his political career, with posters from his failed run for the Panamanian presidency in 1994. Harvard librarian Virginia Danielson said the first components of the collection will be available in mid- to late-2009. 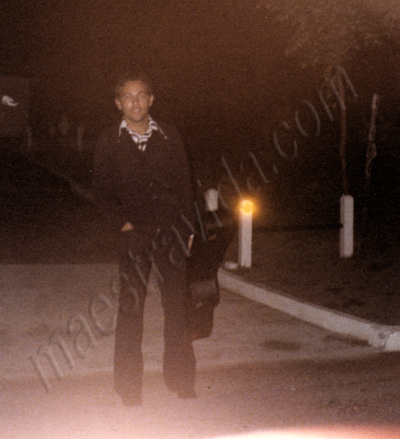 The seven-time Grammy winner holds a masters degree in international law from Harvard. He recently announced he was leaving his post as Panama's tourism minister to return to recording music. Blades en la conversación manifestó también su satisfacción porque la Universidad de Harvard le ha anunciado que colocará toda su historia y producción en la Biblioteca de la institución. va a ser interesante para mí entender cómo la gente ha percibido el trabajo mío”, dijo el creador de Plástico. Blades and his wife, jazz singer Luba Mason, react upon seeing a selection of the first items included in the archive. 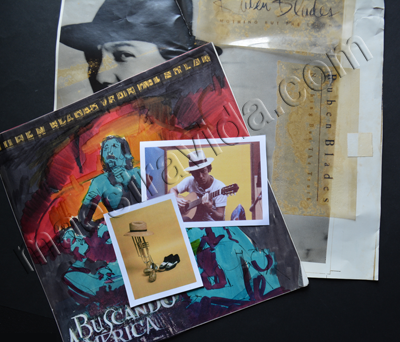 Blades and Mason examine some of the photographs included in the Rubén Blades Archive. Back row, from left: José Massó, host of ¡Con Salsa! on WBUR, Mason, Blades and Virginia Danielson, Richard F. French Librarian of the Loeb Music Library. 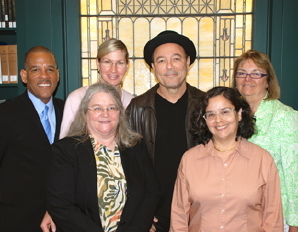 Front row, from left, Alison Weinstock, coordinator of the Rubén Blades Archive, and Donna Guerra, Curatorial Assistant in the Archive of World Music.